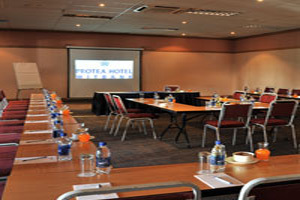 Protea Hotel Witbank has completed the first phase of an upgrade to the property. Work was carried out on the entrance and reception area and phase two of the refurbishment will include the renovation of the restaurant and bar areas, followed by an upgrade to the rooms. Located around 60 miles from Pretoria, the hotel offers six function rooms that cater for between 35 and 200 delegates in a range of styles. The renovation of Protea Hotel Witbank is a continuation to a renovation campaign across the 15 Protea Hotels in Africa, which have been refurbished in the past 18 months.